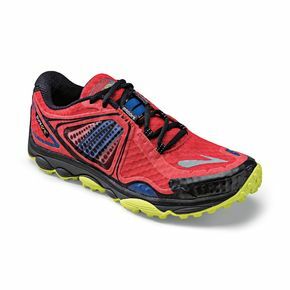 The Brooks PureGrit 3 offers a perfect blend of lightweight trail and traditional technical shoe s, letting you hit your run happier. It weighs in at 9.9 ounces for men and 8.1 ounces for women, and has a 4 mm heel-to-toe drop. Most of the key improvements are to the bottom of the shoe. Flip it over and you'll see 3D hex lugs on the outsole giving you optimal traction and maximized surface area. A forefoot propulsion plate creates more rigidity for a faster toe-off and greater "pop" off the trail. It also prevents the "sinking" feeling associated with other minimal trail shoes. Extending the rubber over the edges of the shoe and tip of the toe increases traction to help you corner with confidence. The key with this shoe is to put it on and take a few steps, walking or running. Get in to Fleet Feet Sports Madison to check out these new running shoes!